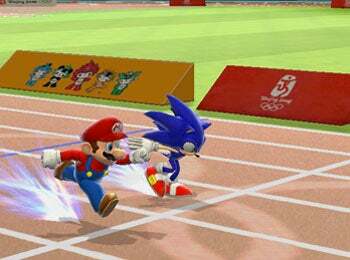 I skipped the last game in this series, the one covering last year's Beijing olympics--it didn't fare all that well with critics--but Sega's pumped for Mario & Sonic at the Olympic Winter Games (Wii, DS) after the Beijing tie-in sold in excess of 11 million copies, brand-wide. The sequel coincides with the 2010 Winter Olympics upcoming in February 2010 and hews to the same mechanics in chillier venues while adding a campaign mode, Mii play, and limited Wii Balance Board support. 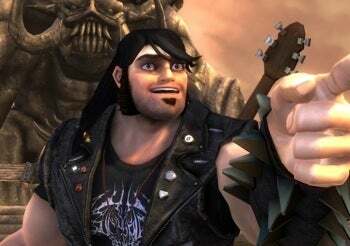 Jack Black is just the sort of lovable spaz that could lend Brutal Legend (Xbox 360, PS3) the personality it needs to help lift the music genre out of its plastic-tapping doldrums. As Eddie Riggs (voiced by Black), you get to explore a world cribbed from all those trippy phantasmagoric heavy metal albums of yore (back when they still used words like 'yore' in the song lyrics, too). The soundtrack's quite extensive, as well the voice cast, which includes Rob Halford, Lita Ford, Ozzy Osbourne, and Tim Curry. If you remember bands like King Diamond, Manowar, and Candlemass, time to break out your hair extensions and fingerless studded-leather gloves. You need a reason to buy a PS3? Metal Gear Solid 4. Okay, and Uncharted 2: Among Thieves (PS3), the first "interactive movie" worthy of that poorly used cliche. 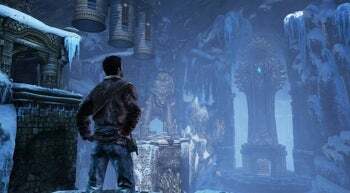 No need to play the first one, you can jump in clean with Uncharted 2, though Drake's Fortune might be the best thing to happen to the PS3 prior to this sequel. And what a sequel. It's got leaping and clambering that don't leave you fidgeting for finger holds, gunplay every bit as tactically compulsive and free-roaming as the rooftop parkour in Assassin's Creed, and the sort of romping pulp story folks twice as artful as George Lucas couldn't dream up. Bye bye Indiana Jones, we can't say we'll miss you with games like this.